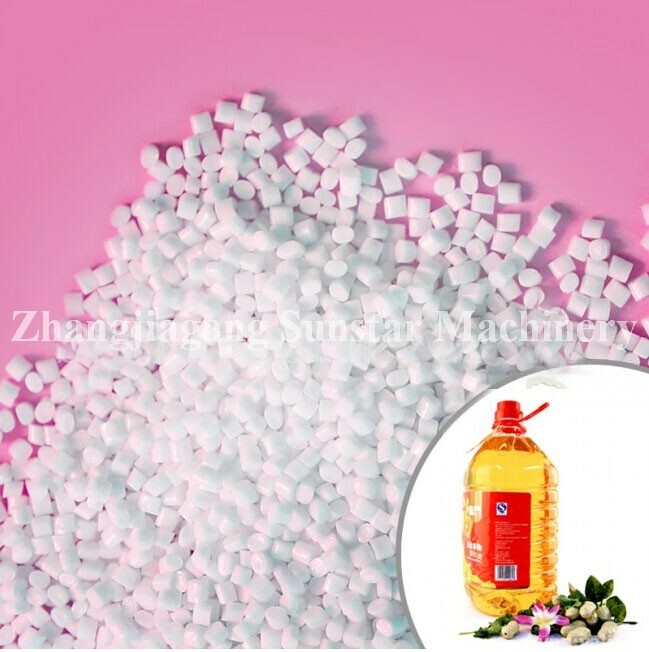 Oil bottle plastic material 318: 318 bottle level polyester chip is specially developed and produced for soda water bottle, wine bottle, drug bottle, PET chip and other products requiring for higher strength, higher barrier property, higher transparency and more favorable processability. This product has features of low heavy metal content, low aldehydes content, favorable color value and stable viscosity. Because of the unique process formula and production technique, this model of product has a favorable crystallinity, and can satisfy the process demand for small package edible oil bottles, wine bottles, drug bottles, chips and other thick and large products, the process can be realized at low temperature and wide range, and the products have high transparency, high strength and high final product acceptance rate. Favorable processability and extensive applicability, high transparency and environment friendly products, high production efficiency.